Here is a quick top-level timeline of the history of Weber Packaging Solutions, founded in 1932. • 1932 – Weber Addressing Machine Co. founded in Chicago by Joseph Weber, Sr.
• 1938 – First handprinter – the Tag-O-Graph Jr. – for directly marking containers is introduced. • 1947 – Weber’s Address Machine enables direct, mechanical printing on envelopes; also moved from Chicago to suburban Mt. Prospect and the company changed its name to Weber Marking Systems. • 1952 – First electro-mechanical in-plant label printing machine is introduced to enable companies to print their own product identification and address labels. • 1955 – Introduction of the Tab-On concept, a stencil affixed to a shipping form enabling a label to be prepared as a by-product of the form; also moved to a larger facility in Mt. Prospect. • 1962 – Joseph Weber, Jr. joins company on a full-time basis after practicing law as an assistant State’s Attorney and serving as Weber’s Corporate Secretary and legal counsel. • 1964 – Stenmark® stencil system makes it possible to print more legible information directly onto shipping containers. • 1967 – Moved from Mt. Prospect to a brand new facility in nearby Arlington Heights. • 1968 – New Weber plant is named one of the top ten in the U.S. by Factory magazine. 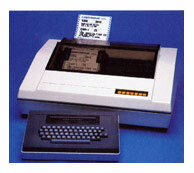 • 1969 – First thermal printing system for reproducing text and graphics from a stencil is introduced. • 1973 – Weber opens a 45,000-square-foot facility in the United Kingdom. • 1974 – Weber installs its first rotary flexographic label printing press. • 1975 – Introduction of labels pre-printed with company logos and graphics; variable data could then be added with a Weber electro-mechanical printer. • 1978 – Weber’s Legitronic® labeling system is introduced, marking the first time computer technology was applied to on-site label printing. • 1979 – Weber acquistion of Tape & Label Engineering in Florida provides full-color, prime label printing capabilities for the decorating of consumer products. • 1984 – Legitronic® system is enhanced to include PC-based memory and software innovations that allowed bar code formats and advanced graphics. • 1987 – Introduction of the first thermal-transfer label printer, which provided higher-quality bar codes, text and graphic images to be printed on a wide range of label stocks. • 1988 – Weber opens a 22,000-square-foot manufacturing plant in Ontario, Canada. 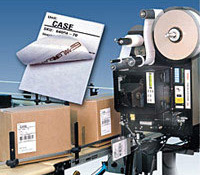 • 1990 – Became the largest distributor of Label-Aire® label printing and application equipment. • 1992 – Joseph Weber, Jr. is appointed Chairman & CEO. 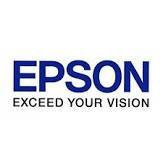 • 1997 – Added improved label press capabilities in the forms of UV flexo and UV screen functions; opened manufacturing facility in Bangkok, Thailand. 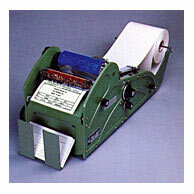 • 1998 – Debut of the first Weber-manufactured label printer-applicator. • 1999 – Ink jet and direct thermal-transfer package printing is added to Weber’s offering of product identification solutions. • 2000 – Weber installs Oracle Business Systems software. • 2002 – Weber unveils second generation of label printer-applicators with the introduction of the Model 5200 Series. • 2004 – Weber introduces RFID printer-encoders and applicators. • 2005 – Debut of Weber’s own RFID smart label manufacturing capabilities. • 2007 – Weber adds seven additional flexographic label presses to the Arlington Heights facility. • 2009 – Weber enhances its label printing capabilities with the HP Indigo ws4500 digital label press for high-quality, short-run flexibility. • 2011 – Corporate name is changed to Weber Packaging Solutions, Inc. to better define the company’s product line and to clarify the on-going direction of the company. • 2012 – Weber introduces its Model 4300 Pro-Apply, an economical line of printer-applicators that boasts the functionality often limited to higher-duty labeling systems. 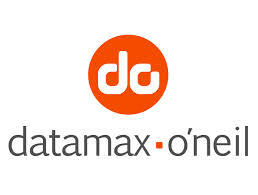 The company also celebrates its 80th anniversary in July. • 2013 – Weber adds an additional HP WS6000 digital label press for expanded label printing capabilities. • 2014 – Weber adds more finishing equipment to increase their digital printing capabilities. 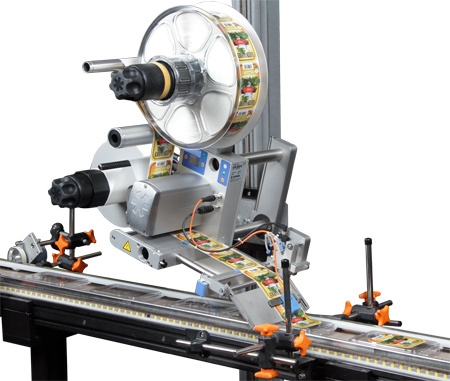 The Model 121 wrap-around label applicator and the Model 114 two-sided label applicator are introduced. • Weber also installs their first Mark-Andy P7 label press which handles the most complex print applications efficiently resulting in waste reductions and faster changeover times. • 2016 – Weber adds the BestCode Series 8 continuous ink jet coders to their product line. These CIJ coders use state-of-the-art technology and have an advanced feature set that sets them apart from the competition. • Doug Weber named President and CEO of Weber Packaging Solutions. • 2017 – Weber introduces the Model LA-6000 high-speed variable-height label-printer applicator specifically for the automated distribution industry. • The Model LA-2050 is introduced as a low-cost label printer-applicator using a Sato CLNX label printer with avaribale-height application system. • Weber earns ISO 9001:2015 certification.